In May/June 2002 Bill and I trekked the Annapurna Circuit in Nepal. 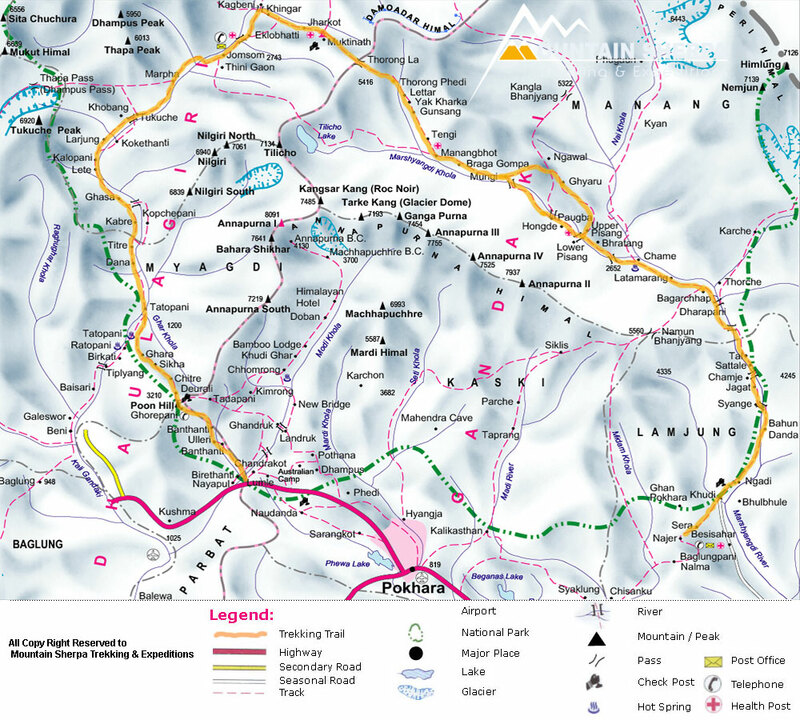 The circuit is a 200 mile journey around the Annapurna Himal, through remote villages, forests, wilderness terrain, and exploring lakes and passes around the majestic peaks of the Annapurnas. 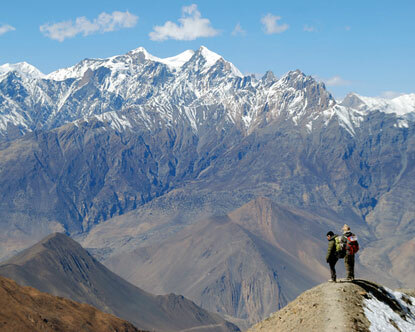 It is true that trekking around the Annapurna Massif is one of the best treks in Nepal. The exhilaration of crossing a high altitude mountain pass in the Himalayas, the sheer diversity of the mountains with different ethnic groups, and the unsurpassed views of the Annapurna, Dhaulagiri and Manaslu ranges were among the highlights of this trek.